eD@HoMe: My first cover from Austria! 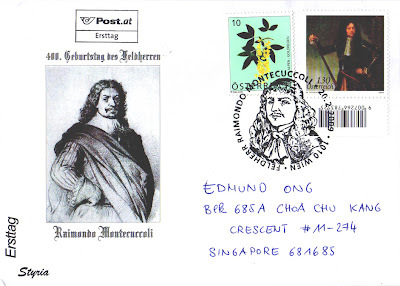 Great thanks to Dr. Florian for sending me this beautiful FDC from Austria. It is my first cover from this lovely country! This cover features Raimondo Montecúccoli (February 21, 1608 - October 16, 1680). He was an Italian general who served as general for the Austrians, and was also prince of the Holy Roman Empire and Neapolitan duke of Melfi. 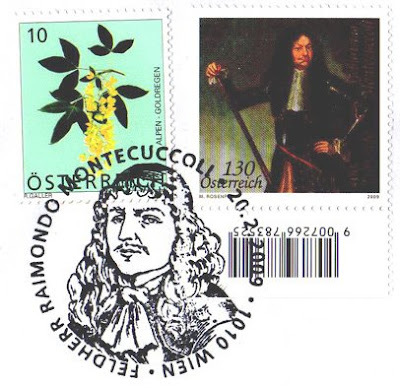 Montecuccoli entered the Austrian Army in 1625, during the early part of the Thirty Years' War (1618–48), and distinguished himself against King Gustavus II Adolphus of Sweden at Breitenfeld (1631) and Lützen (1632). In action again at Nördlingen (1634) and Wittstock (1636), he was a Swedish prisoner from 1639 to 1642, using that time to complete his education and to study the art of war. His strategic and tactical writings were begun then. Returning to the field in 1642, he campaigned for his native Modena in the War of Castro (1642–44), between the papacy and its opponents, and against the Hungarian rebel György Rákóczy I in 1645. Back in Germany, his skillful retreat in Bavaria in the face of a combined French–Swedish onslaught led to his promotion to general. BTW, we share the same birthday! (although 368 years apart :)) Cool! 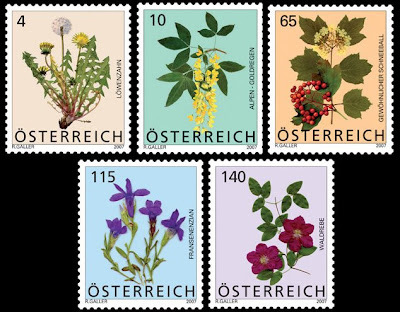 The other stamp depicting Scotch Laburnum, is part of the flower definitives series (shown below) issued on 25th August 2007. 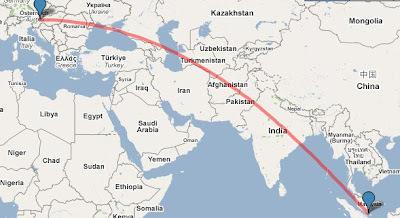 This cover took 7 days to travel an estimated distance of 9,775km to reach Singapore.